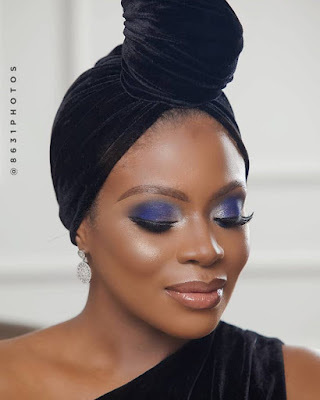 Media personality Dolapo Oni dazzles in Velvet for #ChiefDaddyMovie Premiere.. The TV star has been off the scene for a bit,trying her hands at acting doing lots of appearances in theaters across London. 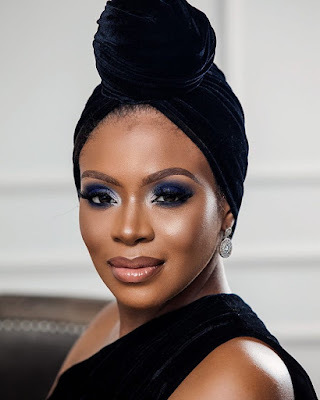 She however returned home recently turning heads as she attended the recently held EbonyLifeTv film Chief Daddy premiere. 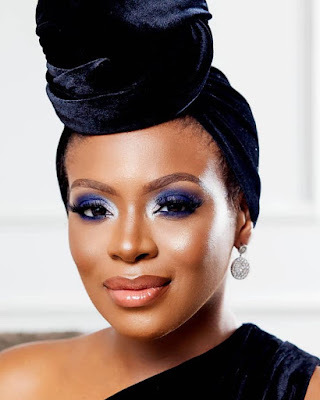 The Former 53 Extra star chose a stunning velvet dress,accompanied with a turban and accentuated with a clean smoky facebeat..